Knowing an overdose definition can save lives. We hear a lot in the news about people ending up in the hospital or even dying after taking an overdose of drugs, but what exactly is an overdose? Improve your understanding of what a drug overdose is with this definition, which also includes a review of the common warning signs that a person has consumed more than the body can take. Also commonly known as an OD, an overdose is a condition of taking a larger dose of a drug than the body is able to handle. Overdoses can occur accidentally, even when a drug is taken as prescribed, or deliberately, as a suicide attempt. Since 2014, the Centers for Disease Control have reported a massive increase in the number of deaths from overdoses from taking synthetic opioids (other than methadone), which includes drugs such as tramadol and fentanyl. Sometimes people overdose through carelessness, and sometimes they don't know how strong the drug is that they are taking. They may not know how much is a safe amount for them, for example, if they are inexperienced in drug use, or have recently lost weight, or had a period of abstinence or reduced drug use. have taken street drugs, which may be mixed with various other substances that increase the risk of overdose. The risk of overdose with illicit drugs is particularly high when the drug strength and content is not known, or if the person has recently been through detox and has relapsed, because he or she may not have the tolerance for the dose taken previously. When people consume street drugs they have no way of knowing for sure how much a particular drug is contained in the dose they receive. And in some cases, street drugs are laced with other drugs that a user may not know about. Accidental overdoses are less common with prescription drugs, because the strength and dosage are known, and the physician provides instructions regarding the appropriate amount. However, accidental overdoses of prescription drugs can occur at times of confusion or forgetfulness, if the person has experienced extreme weight loss, or if he or she has discontinued or reduced the usual dose since the drug was originally prescribed. Overdoses can also occur from taking over-the-counter medications or even seemingly harmless substances, such as vitamin supplements, which are not regulated by the FDA. Overdoses of over-the-counter drugs may be even more harmful and irreversible than controlled drugs. Parents can prevent overdoses in their home by keeping their prescription drugs away from their children and pets. Increasingly, many children are intentionally experimenting with and abusing their parents' prescription drugs to get high, so parents should keep these medications away from not just small children but teenage children as well. 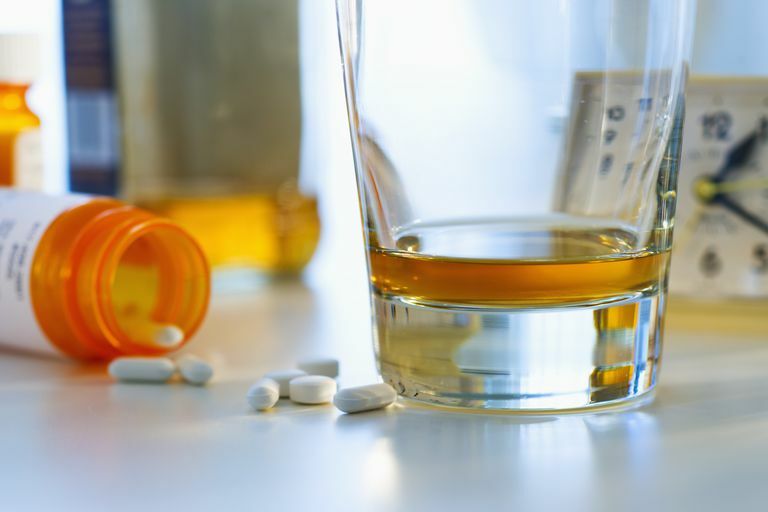 If you're addicted to drugs or alcohol, it's best to enter a treatment facility where you may be able to receive prescription methadone or be monitored as you go through withdrawal. If you've recently completed a treatment program and are tempted to try drugs again, avoid taking the usual hit of your favorite drug. You may not realize that your tolerance has been lowered during detox, increasing your chances of an OD should you get high again. A person who has overdosed may lose consciousness, vomit or be confused. Their skin may become cool or clammy. Their vital signs may worsen. Get medical help right away. Don't try to revive the person on your own or abandon the person because you're afraid of getting in trouble. The individual's life rests in your hands, and you could get in legal trouble anyway if it's discovered that you supplied drugs to this person or abandoned the individual during this crisis. If the person receives help in time, he may have his stomach washed out, given activated charcoal or medicines to counteract the drugs in his system. The medical staff will also work to improve the patient's vital signs, if necessary.